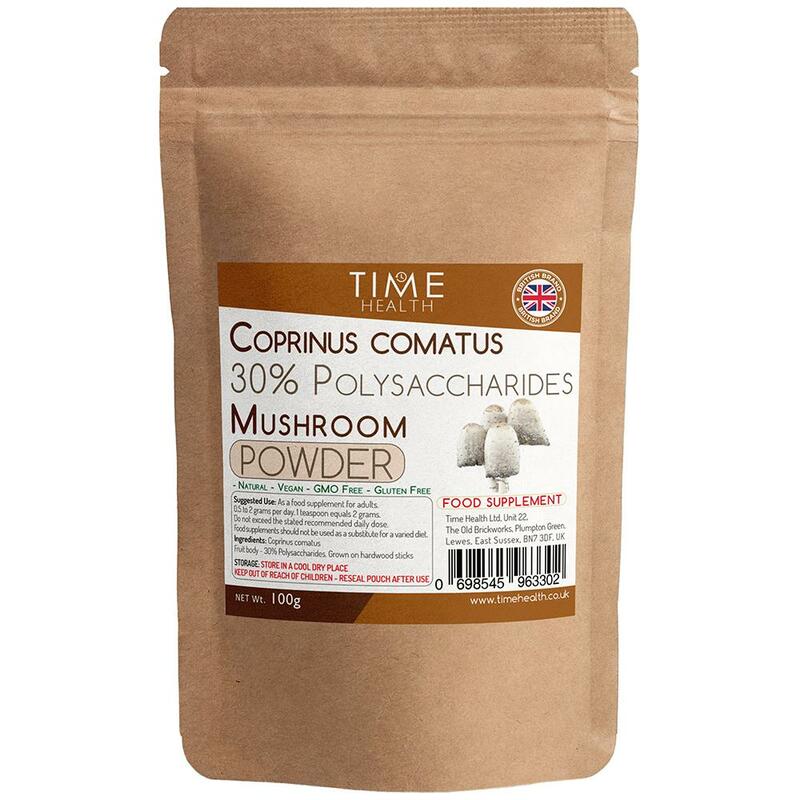 ✔️Time Health Coprinus Comatus extract is grown on hardwood sticks. ✔️30% Polysaccharides – Full spectrum Dual extracted (alcohol/water) water-soluble and the non-water-soluble bio actives. ✔️Only the most complex part of the mushroom is used – the fruit body. The Coprinus Comatus aka the shaggy ink cap, lawyer’s wig, or shaggy mane. This medicinal mushroom has been used since ancient times to improve health. 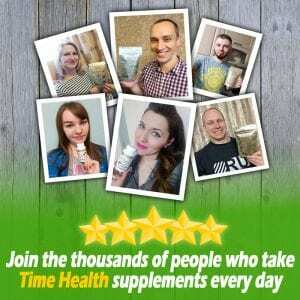 500mg to 2 grams per day. 1 teaspoon equals 2 grams. 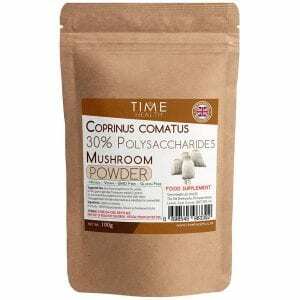 Medicinal mushroom powders are no longer measured in extract ratios eg:10:1/20:1. Extract ratios are the outdated form of measurement for medicinal mushrooms. The new standard of measuring medicinal mushrooms is in polysaccharides. 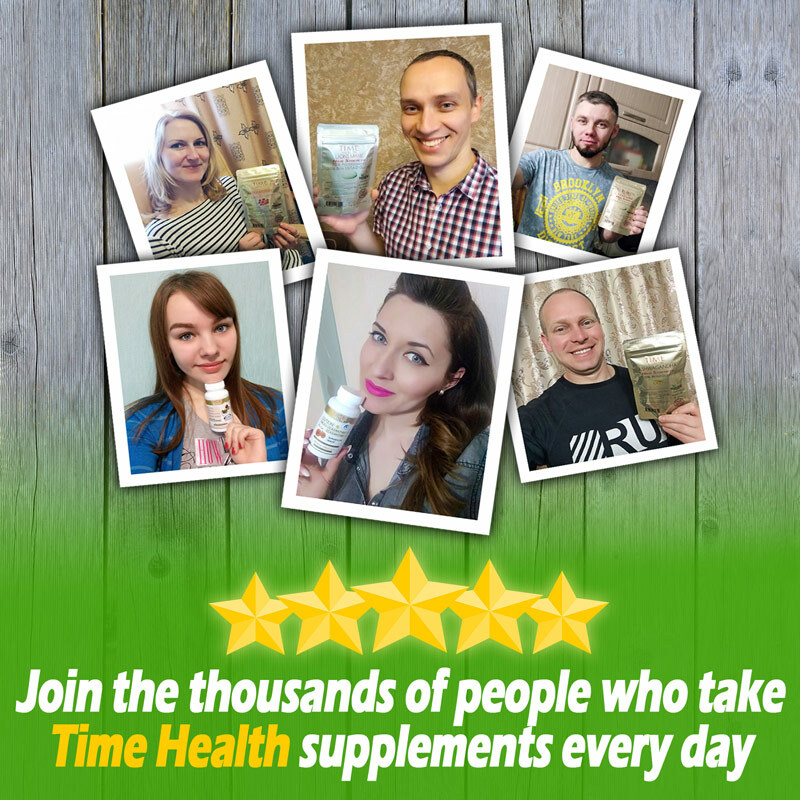 Polysaccharides are the group of nutrients including beta-glucans/alpha-glucans to name a few of the most well-known that have been scientifically proven to be what gives medicinal mushrooms their health giving properties. A medicinal mushroom powder with zero polysaccharides has no health giving properties.Many companies still sell extracts of 10:1, this means nothing as this may only include 1% or even less in polysaccharides giving no benefit whatsoever.